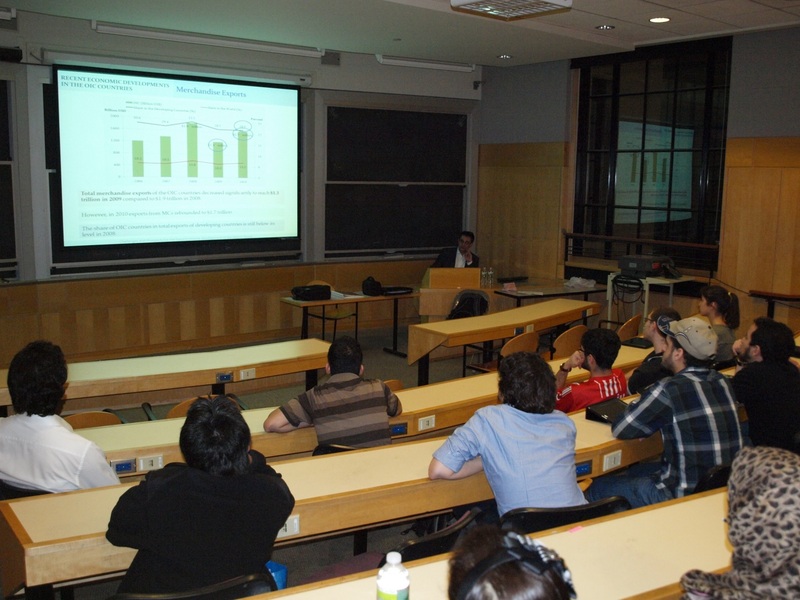 Dr. Savaş Alpay delivered a seminar at the Massachusetts Institute of Technology (MIT) on March 22nd, 2012. 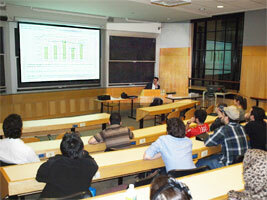 The seminar was organized by MIT Muslim Students’ Association (MSA). The MIT MSA aims to assist Muslim students with their practice of Islam and endeavours to promote understanding between Muslims and people of other faiths at MIT. The seminar was held on March 22nd, 2012, under the theme “Challenges and Prospects for the Socio-Economic Development in the Islamic World”. During the seminar, Dr. Alpay addressed the broad concept of socio-economic development in the Muslim countries under three sub-sections. In the first section, Dr. Alpay evaluated the relative economic performance of the group of Organization of Islamic Cooperation (OIC) member countries against other developing countries, developed countries as well as the world as a whole through an in-depth analysis of a broad spectrum of major economic indicators, including output growth, trade, investments, inflation, unemployment, external debt and capital flows. The analyses in the first section, which featured revealing short-term projections, indicated that the OIC countries as a group have made significant progress over the last five years in various economic areas. However, Dr. Alpay stressed that despite the achievements made formidable challenges remained, particularly in terms of the pace of the scientific and technological progress in the member countries. In the second section, Dr. Alpay dwelled on the recent developments in the area of science and technology in the OIC member countries. He said that currently the member countries constituted only 2.1 per cent of the world total expenditures on research and development. He noted that, in a similar vein, the OIC member countries accounted only 4 per cent of the world total high technology exports. Dr. Alpay also stated that, in terms of their contribution to the scientific literature, the member countries as a group lagged behind individual countries such as US, China and Germany, with a significant number of member countries producing only a handful of articles a year. Introducing the number patent applications as a proxy for the level of innovative capacity in a country, Dr. Alpay highlighted that the OIC countries, with a share of only 1.5 per cent in total number of patent applications globally, should strengthen the link between science and technology by translating research outcomes into innovative products and services. In the final section of the seminar, Dr. Alpay drew upon the key findings of the report titled “SWOT Outlook on OIC Member Countries” – the first study of its kind which was published by the Centre in 2011 for the purpose of raising awareness about the key strengths and the opportunities that the member countries possessed as a group, while turning the spotlight on the major weaknesses and threats they were facing. In the light of the findings of the report, Dr. Alpay stated that OIC Member Countries had a good and significant potential for improving their competitiveness both at regional and international levels. According to him, this could be achieved not only by chasing the more profitable opportunities, but also by identifying the existing strength and future opportunities as well as strengthening the socio-economic cooperation among the member countries. The seminar ended with a highly interactive Q&A session during which the participating students were given the opportunity to pose a number of questions as well as share their reflections on the issues pertaining to the socio-economic development in the Islamic world.